You’ve already done personalised stress toys and custom printed yo-yo’s to entertain your audiences at your events. So, what’s next? Our promotional Fidget Spinners are taking the world by storm with their entertaining yet simple design. Our range of branded fidget spinners are perfect for twirling away the hours and we even have a customised fidget cube in here for if you're looking for an alternative. 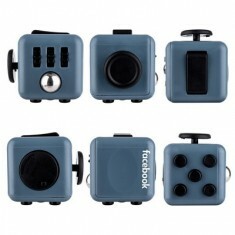 Classic, flashing or fidget cube - the choice is down to you. 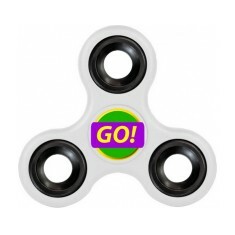 Custom printed Fidget Spinners make a great alternative to stress toys as they are interactive gizmo’s that can provide hours of entertainment. The simplicity of the design is what makes these toys so entertaining and being personalised with your design they’re guaranteed to be kept in front of your audience for hours. Whether they’re stashed away at your desk to keep you entertained on your lunch break, being handed out at your next event or selling them at your local gift shop to make the most of this craze, these products are certain to entertain all ages. 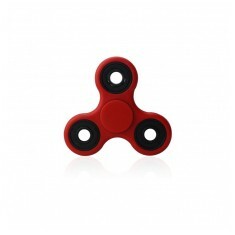 Want to find out why your audience is going to spend hours with your branded fidget spinners? Give our sales team a call and we can arrange for a sample to be sent so you can find out for yourself! Proven to improve productivity, release stress, as well as keeping the hands a..
6 interactive functions. 3 colour choices. Printed to 1 side. Excellent giveaway item. High quality durable plastic. 6 colour choices. Incredibly popular novelty item.